Scientists have so far studied just a few individuals of the Tapichalaca Treefrog . It is identified as a new species because its colouring, anti-predator behaviour and anatomy are distinctive. In particular, it does not have an omosternum (a specific bony part of the sternum or breastbone) and this makes it unlike all other known species of Hylidae. There is some difference in appearance between the males and females, with the males looking grayer and the females tending more to brown. Both sexes have contrasting white digits and attractive golden-yellow irises. The habits of the Tapichalaca treefrog are largely unknown, but the initial study observed what looks like anti-predator behaviour. The frogs exude a white sticky liquid when disturbed, and then take up a position displaying white markings on the backs of the legs and around the vent. Observers have heard a male calling on just one occasion, from a branch 2.5 m above the ground and close to a stream and small waterfall. This may be a mating call, as a female Tapichalaca treefrog was nearby, but there is no firm evidence. Fighting between males may occur, as two of the male frogs examined had scarring to the head and shoulders. The Tapichalaca Treefrog is known only from the Tapichalaca reserve in Southern Ecuador. 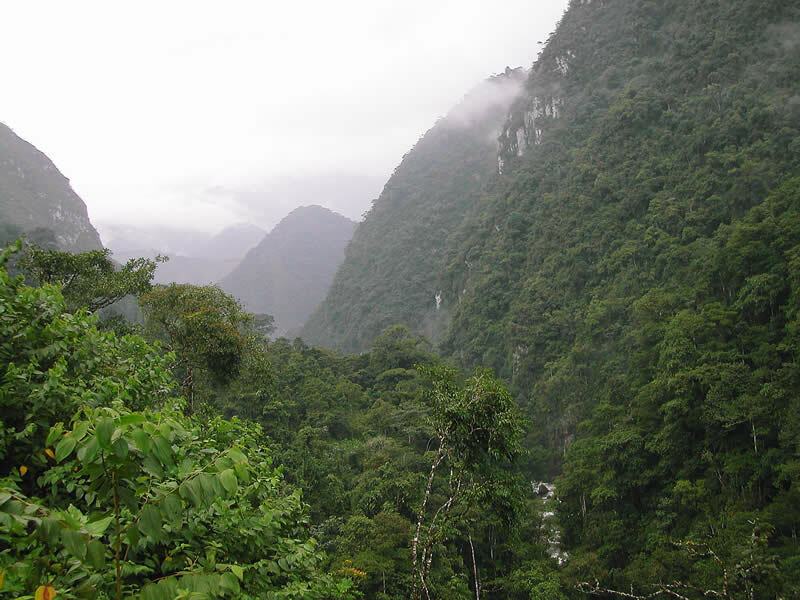 This reserve protects an unusually wet temperate forest in the eastern Andes, and covers a wide range of altitudes. The highest parts of the reserve reach up into the paramo grasslands at 3,500m, while the lower regions are sub-tropical montane forest. 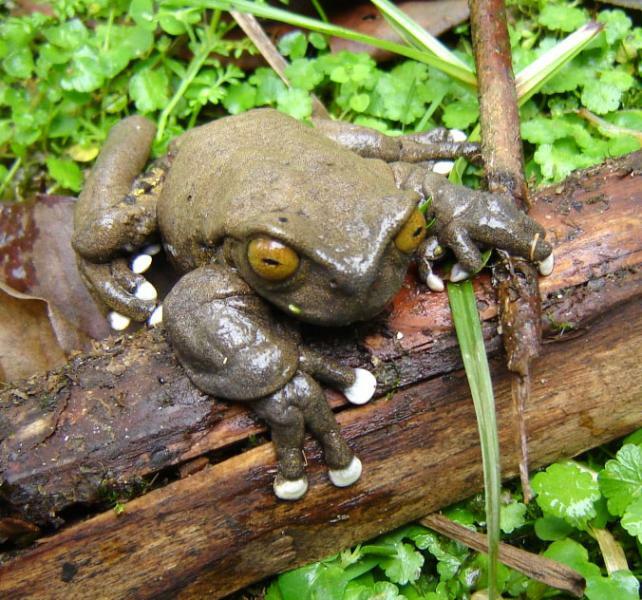 As a fairly new species, the IUCN has not assessed the conservation status of the Tapichalaca Treefrog. If its range is really as restricted as it appears, with just one population, it will be very vulnerable to any threat. The protection of the Tapichalaca reserve is vital for it, but like so many amphibians it is likely to be susceptible to the chytrid fungus.